It was a perfect spring day in Minneapolis for the MIIAB Convention. Over 1,000 people gathered for the largest insurance convention in Minnesota. The morning started early with three continuing education classes. The classes included David Connolly of iQ Consulting, who spoke about the best approach to new producer onboarding, Chris Amrhein, of Amrhein & Associates, who spoke on social media and errors and omissions, and John Immordino, of Arlington/ Roe, who spoke on the current exposures associated with cyber risks. Following CE classes, the MIIAB Awards Luncheon featured a keynote from stand-up comedian C. Willi Myles. 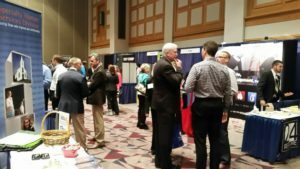 Agents then took time to network for several hours in the exhibition hall. 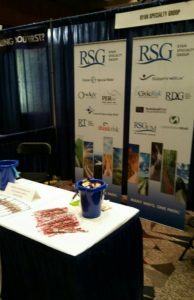 RSG had a chance to catch up with our current agents, while also creating relationships with new, prospective agents.